The National Estuarine Research Reserve System is a network of 29 coastal sites designated to protect and study estuarine systems. The reserves represent a partnership program between NOAA and the coastal states, and while each one is unique, they all offer community-oriented programs focused on conservation, science, education, and public involvement. The nation’s 29 research reserves cover and protect over 1.3 million acres of land and water. The total fish catch in estuaries contributes $4.3 billion to the U.S. economy every year. 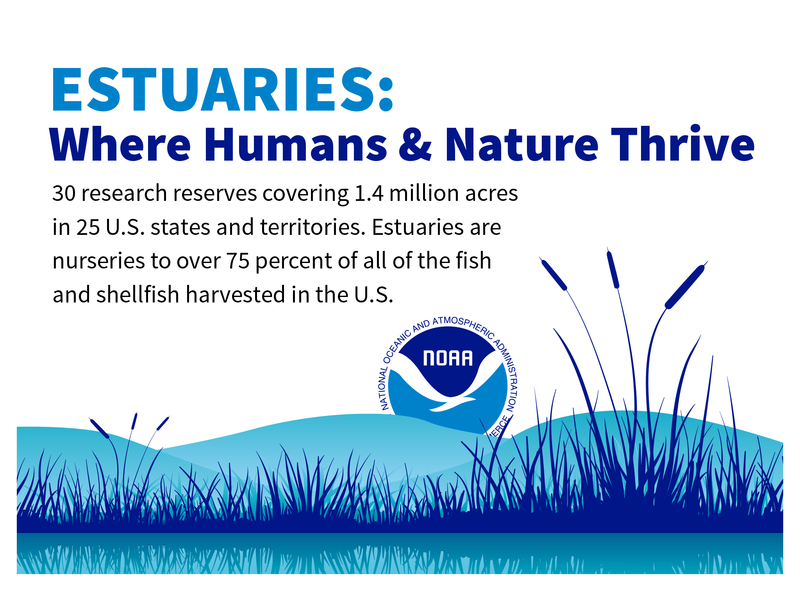 Estuaries are nurseries to more than 75 percent of all of the fish and shellfish harvested in the U.S.
Of the 32 largest cities in the world, 22 are located on estuaries. 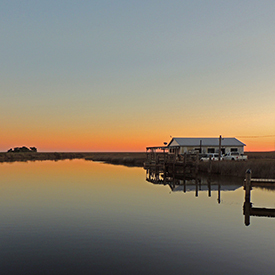 The greatest threat to estuaries is large-scale conversion by draining, dredging, and filling. More than 38 percent of coastal wetlands have been lost due to these activities. Coastal recreation and tourism generate $8 to $12 billion per year in the United States, and a large proportion of that is located in estuaries. There are 35 different educational lessons and activities offered through the reserve system, each bundled with all of the necessary tools and resources for implementation. More than 63 million water quality and weather observations have been made through the reserves’ System Wide Monitoring Program. The tidal pattern in an estuary depends on its location, water depth, water flow, coastline, and wind conditions. With the variety of conditions on Earth, each estuary displays a unique tidal pattern. No two estuaries are the same. The National Estuarine Research Reserve System is the only estuary program in the country to feature a consistent, system-wide monitoring program, ensuring data are collected in the same way at each site and therefore can be aggregated easily at the local, regional, and national scale to meet decision-makers’ needs.